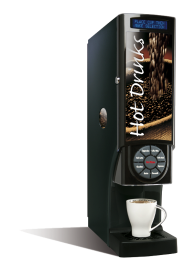 One touch Cappucino Coffee Machines From less than £1.25 per day Drinks from just 5p. Ideal where speed of service is required. Café style drinks in an instant. 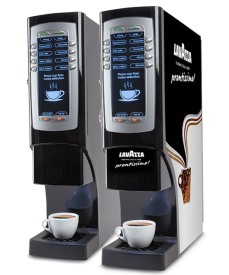 Enjoy Café style drinks in seconds from one of our range of one touch Cappuccino machines. Cappuccino, Latte, Mocha, Hot Chocolate and more. 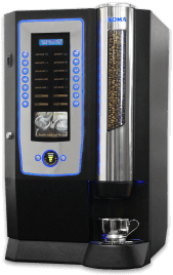 The ideal system for Cafes, Bars, Restaurants, Hotels and Retail Outlets. The Mini Magnum, compact and full of features including, Go Large & Strong options. 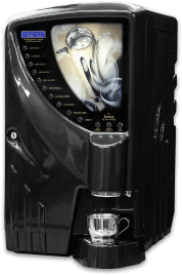 The Mini Monarch, wide range of drinks in one of the smallest machines available. The Sovereign, great value mid-sized machine, ideal where more capacity is required. The Classic 4, style, choice and capacity with a brushed steel finish. The Vienna, big on style and features, small in size. Available in various colours and finishes. The Sienna, choice and capacity, available with coin control and in various colours and finishes. 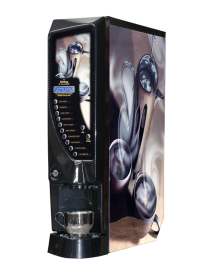 The Roma, style choice and capacity, with design flair, neon backlight and real coffee bean display. 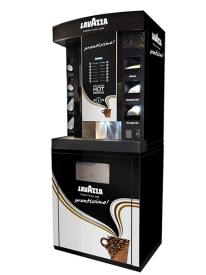 A unique range of Lavazza branded free standing versatile hot drinks towers. 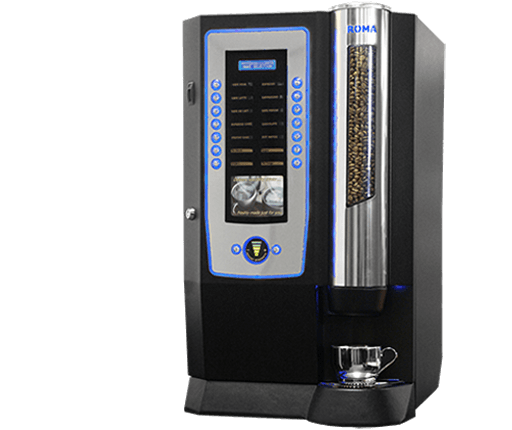 So called Cappuccino Machines are the one touch systems where you simply press the button and within seconds a frothy cappuccino appears before your eyes! 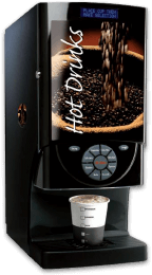 They are available in a wide range of sizes and styles and can dispense a full range of coffee shop quality drinks at the touch of a button including… Cappuccino, Latte, Mocha, Espresso, Hot Chocolate and Hot water for Tea. 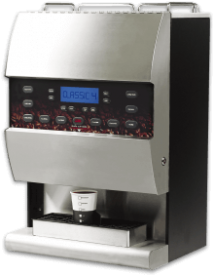 Regardless of whether you are looking for a coffee machine for your Bar, Café, Restaurant or Hotel, one touch Cappuccino Machines can be a great alternative to traditional espresso systems as they do not require fully trained staff or a Barista to operate them, in-fact anyone can make a fantastic Cappuccino or Coffee at the push of a button which means they are also suitable for self-service sites and can be used as Office Coffee Machines. 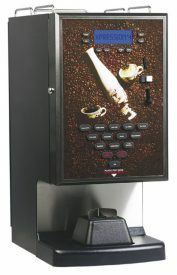 There are various manufacturers who offer this type of machine via distributors such as ourselves and some of the bestselling models come from DarenthMJS and Matrix, for example the Mini Magnum is ideal if you are tight for space, as it is only 165mm wide (similar to the size of a coffee percolator) which will fit almost anywhere and still offer the full range of coffee shop style drinks. For something with a few more features then the Sienna could be what you are looking for as it has a Go Decafe button that automatically dispenses your drink choice using decaffeinated coffee, and a Go Large option which is ideal if you want to offer drinks to take-away.